Who doesn’t love a good onion ring? I just love them. I could eat them all the time. I don’t. But I could. If you have a deep fat fryer, use that. If you don’t heat your oil in a deep pan over medium high heat. Peel and slice the onions into rings. Not too wide, but not really narrow either. Heat the oil on the stove until hot. It is hot enough when a little batter dropped in sizzles and bubbles rapidly. If using the deep fryer, heat to 350 degrees Fahrenheit. In a large bowl, whisk together, the flour, salt, garlic powder, onion powder, and paprika. Gradually add the water. It is the right consistency when you can drizzle the batter from a spoon. 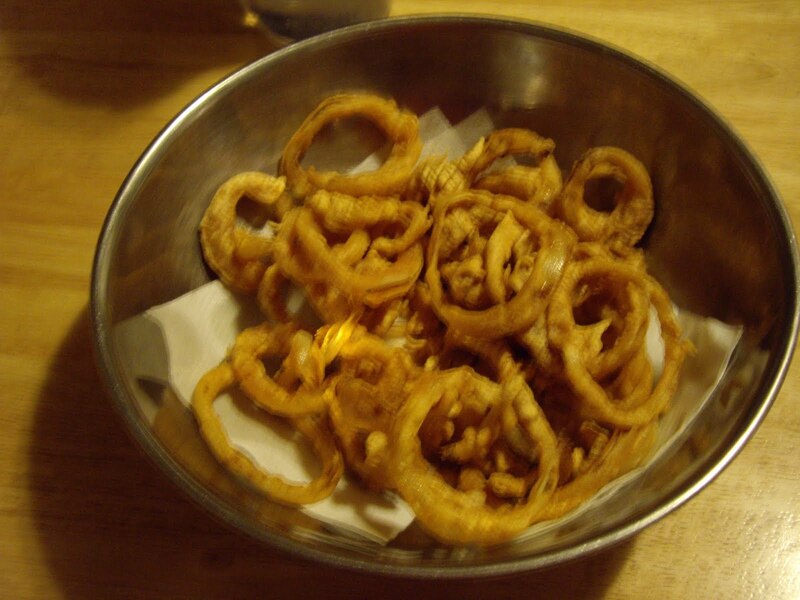 One by one, dip the onion rings into the batter and drop them carefully into the oil. You will have to fry them in batches. You don’t want to crowd the pan or the oil temperature will lower. As each batch comes out of the fryer, drain on paper towels and keep them warm in a 325 degree Fahrenheit oven. HOMEMADE ONION RINGS ARE GREAT! COMPLIMENT ANY MEAL! BETTER THAN ANY YOU WILL BUY IN A FAST FOOD CHAIN OR FROZEN!